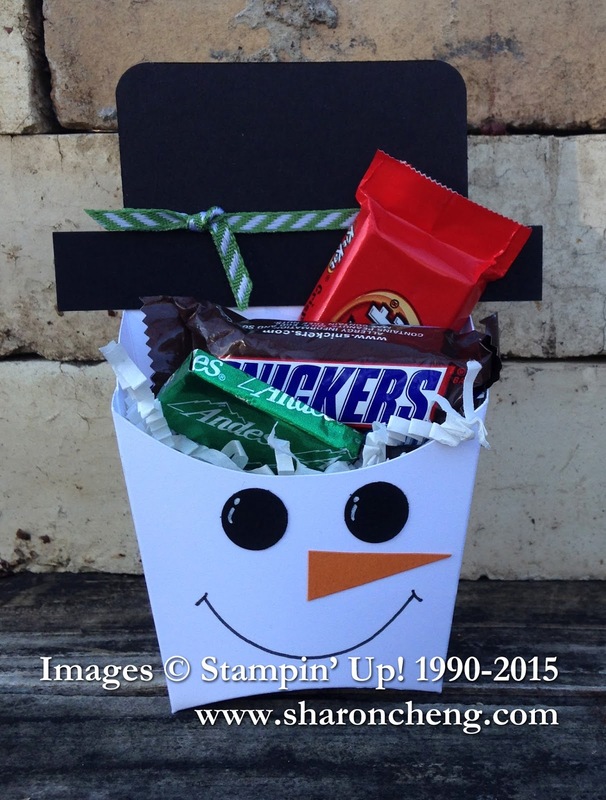 This fun Frosty Fry Box was CASEd from a project by Ronda Wade. For those of you who know me, I did "Cheng-it-up" slightly. This is a quick and easy project that can hold candy and other treats. With this video tutorial, you'll get tips for making the Frosty treat holder using Stampin' Up! 's Fry Box or Pillow Box. Learn an easy way to hold down your ribbon while you tie the bow.